Warren Rosenblum presented "The Feeble-Minded in Germany: Between Sympathy and Persecution" at The Mandel Center for Advanced Holocaust Studies. 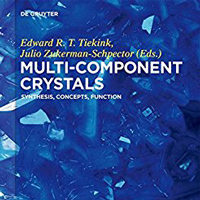 ... Ryan Groeneman published a chapter in the book, "Multicomponent Solids: Synthesis, Concepts, Function." ... Athens faculty member John Nomikos published a journal article on Balkan instability and a book chapter on cybercrime in Southeast Asia. 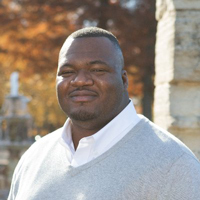 ... Jacksonville alumnus CJ Smith received a Jefferson Award for public service. 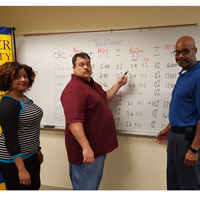 Webster University co-sponsored the Ocala Chamber Entrepreneurial Breakfast, presenting Webster programs offered in central Florida to the 250 entrepreneurs and community leaders at the annual event. 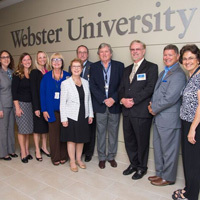 Ocala director Michael Fallon highlighted some of the Webster alumni entrepreneurs who have earned degrees in the 20 years of Webster's operation in Ocala. 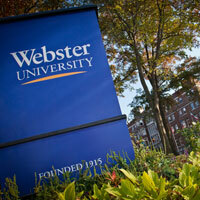 Webster University Ocala held a Women in Leadership Conference on campus on Nov. 10. 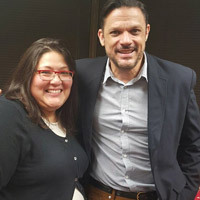 The event was free to attend and included topics such as Emotional Intelligence in the Workplace, Work/Life Balance, and Marketing yourself. 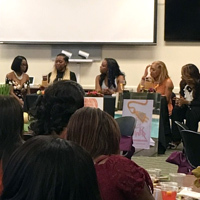 Webster University's Orlando campus location hosted a "Positivitea Mentoring and Networking Brunch" to connect recent graduates from Webster and FAMU with successful women business leaders, who will serve as mentors and advisors to these young professionals as the navigate their new career paths. More than 150 women attended and toured the Webster location in downtown Orlando. 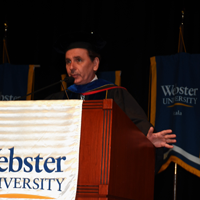 Commencement season is in high gear at Webster University, with several ceremonies at campuses around the world taking place last weekend, and more to come through the summer. The largest was the 98th annual ceremony at The Muny in St. Louis, which attracted grads and families from across the network. See photos and links for the scenes from several ceremonies celebrating this year's 6,058 grads who add to a network of 192,000 alumni. Webster Central Florida Region hosted commencement at the Orange County Convention Center in the Linda Chapin Theater on Saturday, April 22. 240 students walked in the ceremony from the Ocala, Lakeland, Jacksonville, Merritt Island, Melbourne and Tampa Bay campuses. Orlando Mayor Buddy Dyer joined Webster University President Elizabeth (Beth) J. Stroble and Webster Orlando Director and Central Florida Regional Director Nick Spina and 200 others from the City of Orlando, Economic Developments Commission, local business leaders, and Webster alumni, faculty and staff to celebrate the grand opening of the new downtown Orlando campus on Tuesday, Aug. 2. 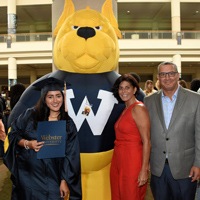 Webster's Central Florida campus locations united on Saturday, May 7, for the first-ever Florida campus commencement ceremony in Orlando, celebrating over 430 students. 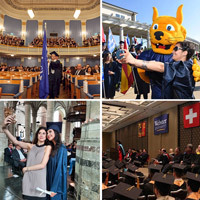 Until this year, each campus had conducted individual ceremonies, but a new tradition was born by combining all graduation ceremonies into one. Webster University will combine its two Orlando locations into a high-tech campus near site of proposed downtown redevelopment. The location is less than one block from the Amway Center, home of the Orlando Magic basketball team, within walking distance from many major downtown corporations and only blocks away from the proposed Creative Village educational hub. The move is expected to happen in May.